Adjustable height 26 ½" to 30 ½"
The Alvin Classic Deluxe Drafting Chair offers extra comfort and additional seat height. It features a pneumatic height control and a height extension kit that allows height adjustment from 26 ½ inches up to 30 ½ inches. The kit includes a black foot ring that is 21 inches in diameter and a durable cylindrical steel shaft that locks into the chair base. 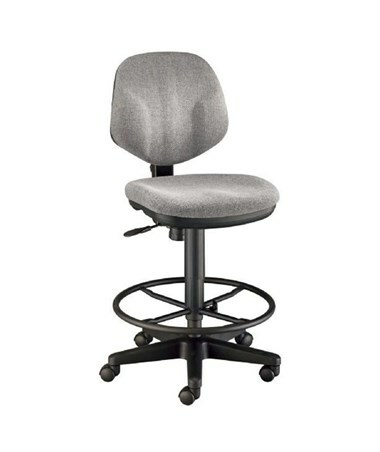 With a 16"W x 14"L hinged backrest that is equipped with a spring-adjusted rocking mechanism and adjustable height and depth, this task chair provides excellent back support. 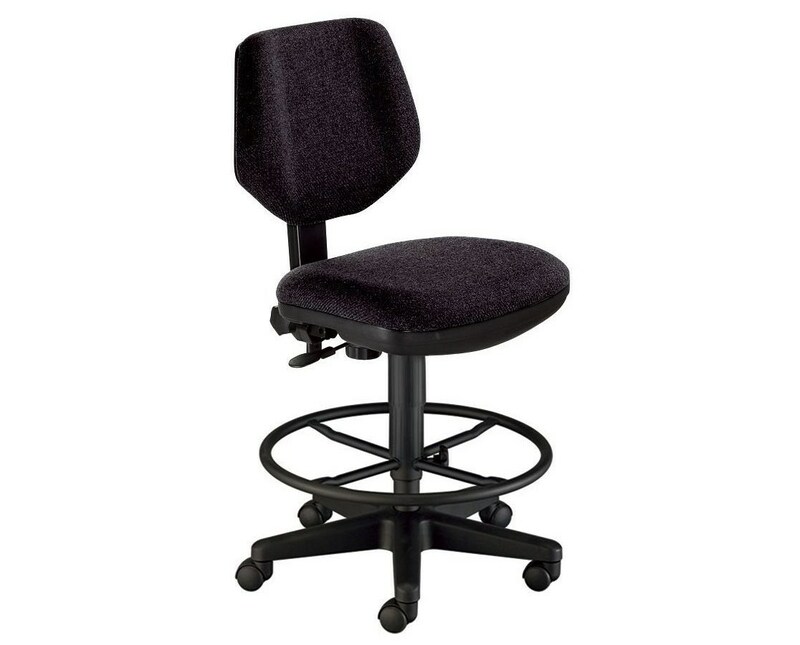 This ergonomically designed drafting height task chair comes with an 18"W x 17"L seat cushion that is two-inch thick making it ideal for long hours of sitting. It ensures stability and sturdiness with its 24-inch diameter reinforced nylon base and polypropylene seat and back shells. With five dual-wheel casters, it moves easily and smoothly for total mobility while at work. 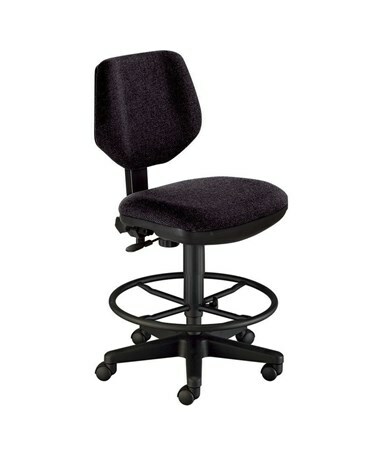 The Alvin Classic Deluxe Drafting Chair comes with fabric upholstery. Choose between black and gray to suit any office, studio, or shop. For additional comfort, various armrests are available for this chair. It requires minimal assembly. The Alvin Classic Deluxe Drafting Chair comes in two color variations. Please select your preference from the drop-down menu above.